It’s no secret that the L.A. Aqueduct, engineered by William Mulholland, is essential to both L.A.’s history and survival—after all, it has piped water from the Owens Valley for over 100 years. But there’s another Mulholland production that has had an equally large impact on our city, albeit one that is lesser known: the St. Francis Dam. 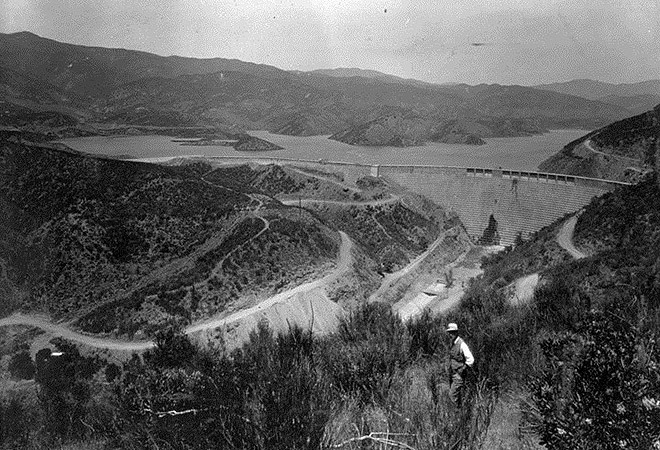 In the late 1920s, Mulholland designed and oversaw construction of the dam, which was intended to store Aqueduct water. He chose Santa Clarita’s San Francisquito Canyon as its location due to the canyon’s natural bowl-shape and proximity to the Aqueduct. With characteristic bravado, Mulholland decided midway through the project to add an additional twenty feet of height to the dam wall without widening the base. This brought the dam to a capacity of 38,000 acre-feet—about 2,400,000 bathtubs of water. Apparently so: geologists later discovered the canyon was the site of an ancient landslide, likely a factor in the dismal collapse (albeit unknown to Mulholland at the time). Still, the disaster ended Mulholland’s career, and ranks today among the worst in U.S. civil engineering history. 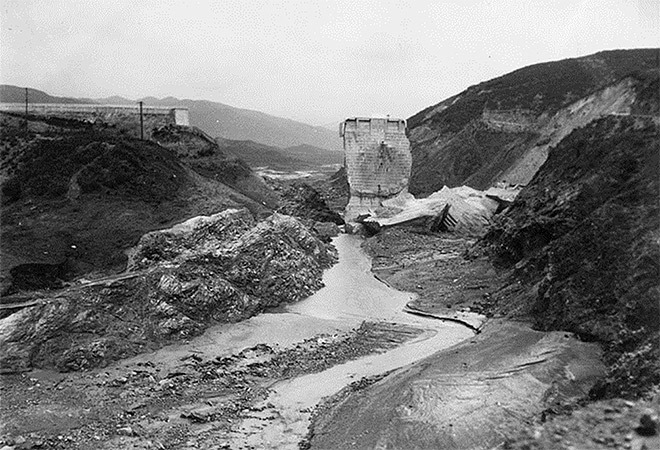 The St. Francis Dam Disaster is one of the lesser-known incidents of L.A.’s past, but not for long. CSUN archaeologist James Snead is working with LADWP to uncover the stories of the victims. Not to mention, the drive to San Francisquito Canyon is an easy one, where visitors can walk among concrete chunks and rebar—the dam’s unmarked and sobering remains.